I'm still trying to reconcile in my head that 2014 is nearly over. Christmas always wraps up so quickly, then I'm hit with the reality of the fast-approaching new year. I don't really know why the prospect of a new year is so daunting to me - I think perhaps it's a residual effect from when I was at school, and I would dread the start of January as it meant a new school year was about to start. Nevertheless, I thought a good way to finish the year would be to take a brief look back at 2014 and see what it brought. I returned to Japan for the third time in October, this time bringing Justin with me for his first visit. It was incredible to experience this beautiful country in autumn, with the beautiful red and orange colours everywhere we went. I ate the most spectacular food, saw some gorgeous views, and spent way too much money on clothes. I explored places I'd never visited, and returned to some that I hadn't seen for quite a few years. Japan is such a unique country, and offers something new every time I visit. 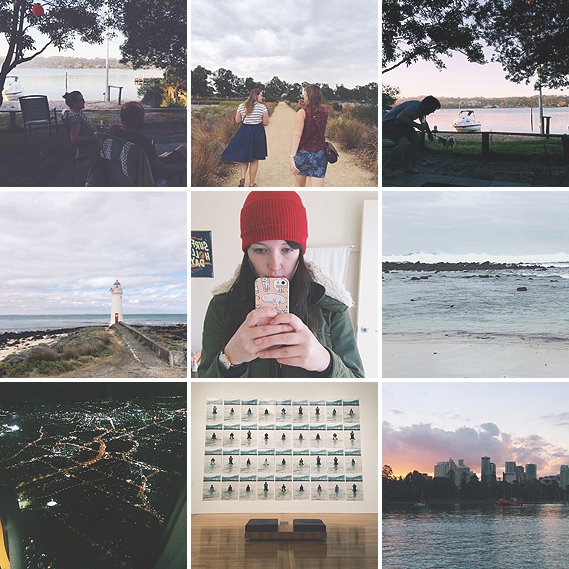 To help break up the repetitive nature of my job, I took quite a few short holidays around Australia. I came home to Port Fairy quite a bit, visited Brisbane (and Queensland) for the first time), went to Sydney, and a visit to our families house in Lakes Entrance. It was really wonderful to be able to take so many of these breaks, as I probably don't see as much of my country as I should. Australia has so much variety, yet I'm usually too preoccupied with planning my next overseas holiday to take much notice. I started blogging regularly in September of 2014, which has proven to be a wonderful outlet for me to write about the things that inspire me, as well as my life. 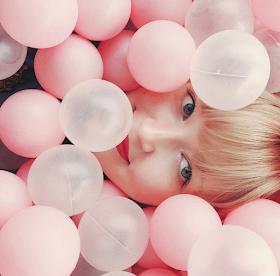 I think it's fair to say that I've become well and truly addicted to blogging - I absolutely love to brainstorm my next blog post, envisioning the photos I will use, and the community is just so friendly! 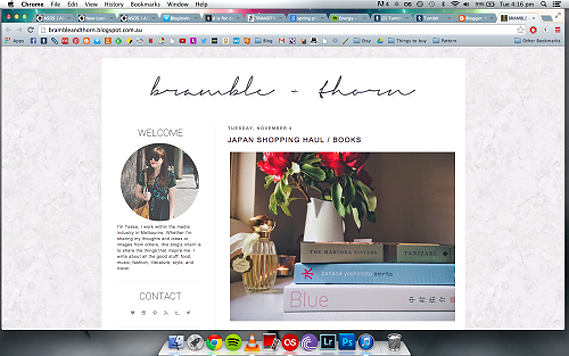 I'm so excited to continue this into 2015, and to learn more about blogging as I go along. 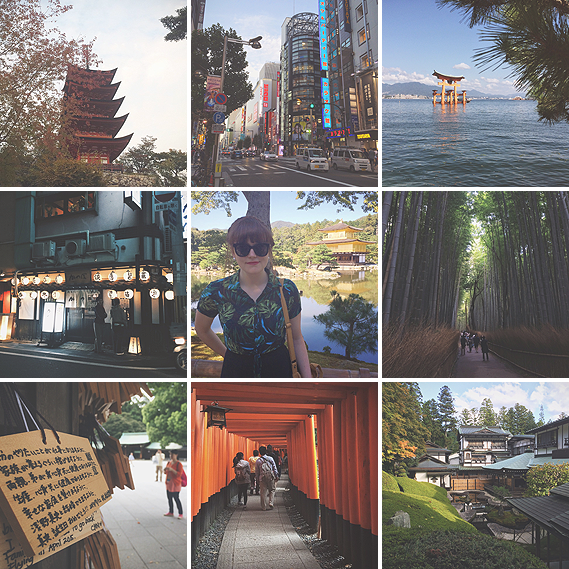 It's no surprise that I ate well in Japan, but this year I ate (and ate and ate and ate). I just love food so much, and living in Melbourne there seems to be a never-ending list of places I just have to try. 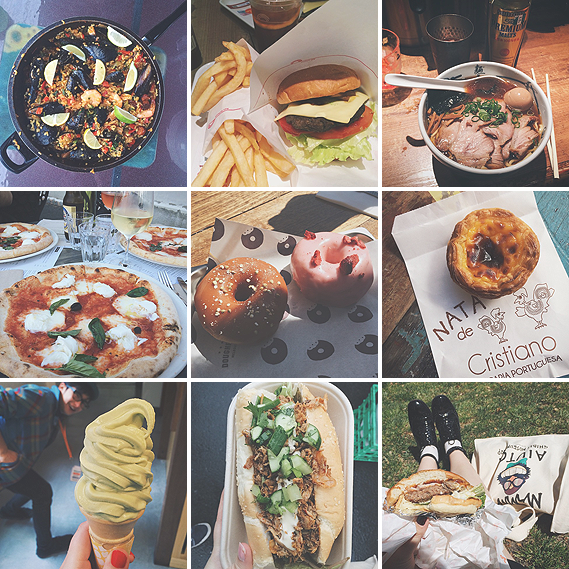 Ramen, burgers, dumplings, gelato, pizza, I want it all! It's a strange feeling, working full-time. This was my first year of full-time work, as well as being the first year I really felt like I am in control of my future. From school through to university, you're really just going through the motions, but now it's all up to me to have the life that I want. I've made a bit of a life for myself in my house with my boyfriend, and although we've had a couple of rough spots this year, on the whole it's been quite good. We both have lives outside of each other, which I think is a really important thing to have when you live with your partner, but of course we do a lot together. I'm not really sure what 2015 will bring - the only certainty I have is that I'll be traveling to Europe in June and turning 26 (yikes!) in May. But you know what? It's the unexpected things along the way that are the most exciting.